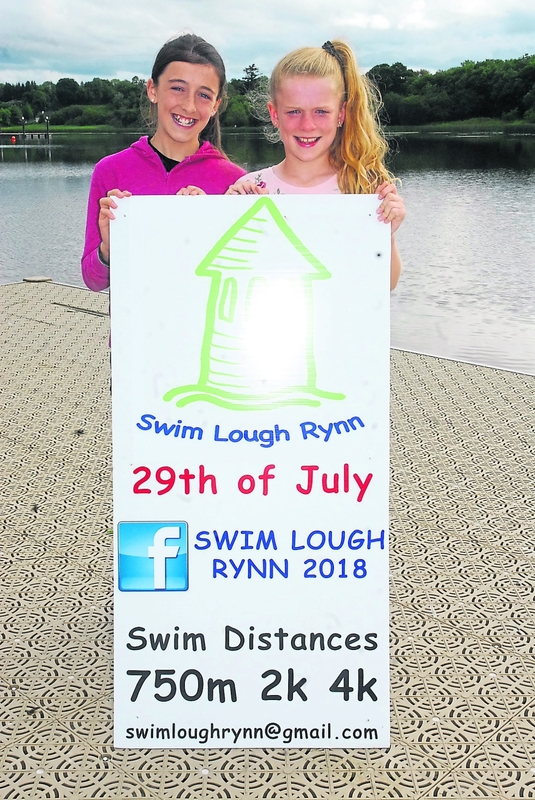 The official launch of Swim Lough Rynn 2018, which will take place this Sunday, July 29 was held recently with members of the organising committee, local Councillors and officials from Leitrim County Council present. Almost 300 swimmers have signed up for the event, which is fully sold out, and they will compete in three different events - 750 metre, 2k and 4k at the Lough Rynn Recreational Facility. The 750m event (skins and wetsuits) will commence at 9.30am, followed by the 2k race (skins and wetsuits) and 10.30am and the 4k swim (skins and wetsuits) is scheduled to get underway at 12pm. Race briefings will take place 30 minutes before each race start beside the water entry / exit point. Competitors are asked to leave themselves five minutes to walk to this area from the car park / enclosure area. All competitors must attend the race briefing. Registration will take place in the office located in the main building at the Caravan Park. Registrations will close strictly on time to allow each race underway on time so please arrive in plenty of time. There will be no registration allowed after the end times outlined below under any circumstances. Registration for the 750m - 7.45am-8.30am; 2k - 8.45am-9.30am and 4k - 10.15am-11.30am. At registration competitors will receive a coloured swim hat (which must be worn during the race itself) and a timing chip (which must be worn on your wrist). Race numbers will also be written on competitor's hand in black marker as a backup to the finish judges.